In the early 1960s a group of Magnolias were planted to form an avenue running from the front of Jermyn's House. Magnolia Avenue, when in full flower in April, is one of the most magnificent sights of the Gardens. 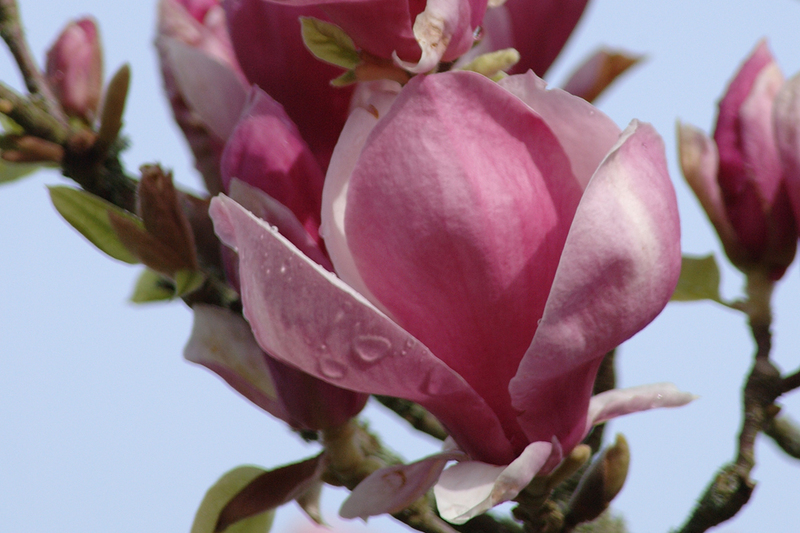 The beautiful Magnolias are complemented throughout the year by alpines and dwarf shrubs. Near to Jermyn’s House are some beautiful Himalayan pink tulip tree Magnolias. These have goblet shaped flowers that open wide, like spreading water lilies. Nearby are other ornamental trees and a lovely heather collection which flowers all year. Although Magnolias are known for their spring flowers some species continue flowering into summer. For example Magnolia sieboldii and Magnolia wilsonii.